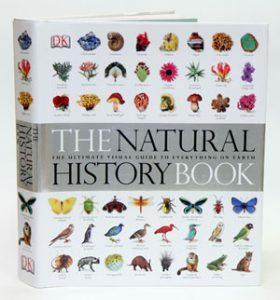 The natural history book: the ultimate visual guide to everything on Earth. This is a monumental and extraordinarily beautiful guide to the Earth’s natural wonders. 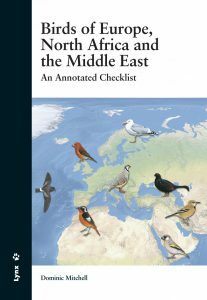 Five years in the making, covering over 5,000 species, this reference is one-of-a-kind; the only book to offer a complete survey of the Earth’s natural history. Each geological and biological grouping is introduced and explained in an engaging and highly informative way, making it the perfect addition to every family bookshelf, as well as an ideal gift for every nature lover. It is packed with thousands of stunning, specially commissioned photographs, and written by a worldwide team of natural history experts. From granites to grape vines, from microbes to mammals, this book is a true visual dictionary of every kingdom of life. 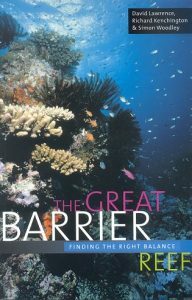 The Great Barrier Reef: finding the right balance. Artist/Author: Lawrence, David et al. Traces the Great Barrier Reef Marine Park from its origins in the 1960’s through its recognition as a World Heritage site to the current operations of the Marine Park Authority. 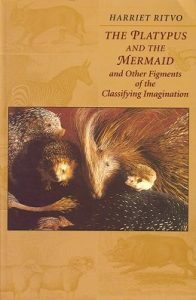 The Platypus and the Mermaid: and other figments of the classifying imagination. ” The author is well versed in the scholarly literature and in modern theories and presents a vivid and original account.” Walter Burkert. 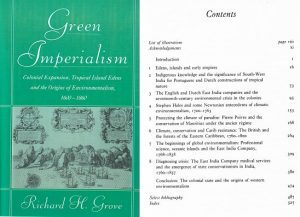 Green imperialism: colonial expansion, tropical island edens and the origins of environmentalism, 1600-1860. The first book to document the origins and early history of environmentalism.